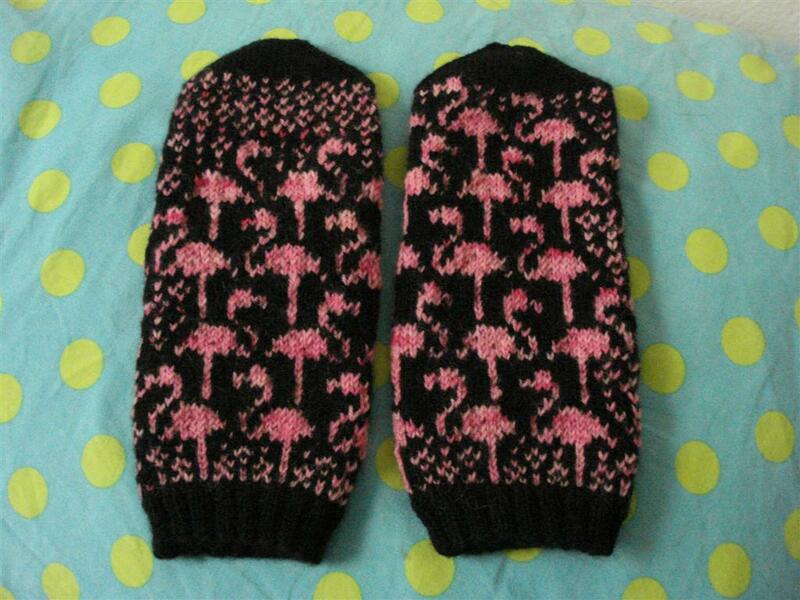 I flipped for this pattern and just HAD to make these flamingo mittens! But for whom? My mom, of course, because even though she lives so far away, her hands are about the same size as mine, so I could just make them to fit me and know that they would probably fit her! 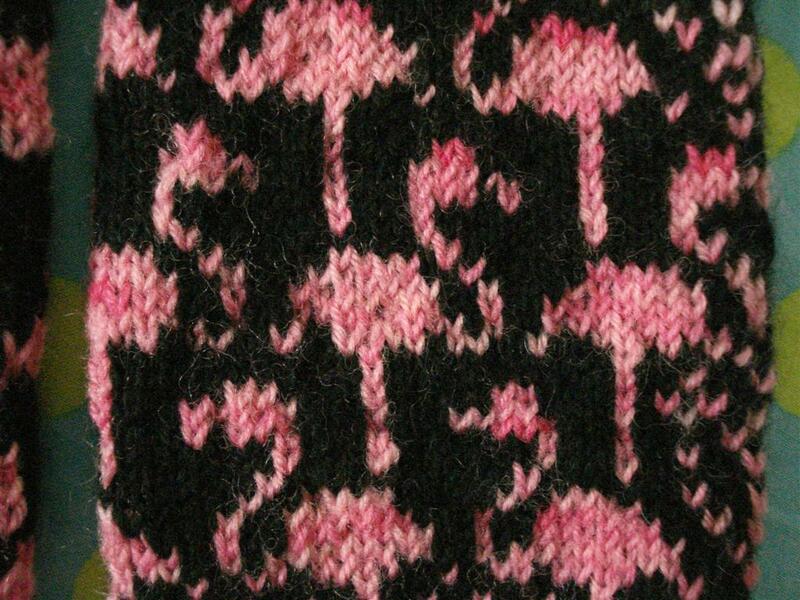 Every stitch of these was fun, thanks to this mottled, hand-painted pink yarn that I bought on Etsy. The black is super-soft Capretta from KnitPicks and the pattern is from SpillyJane. I have been working on these for weeks, but they arrived just in time to cheer her up after a fall that broke her shoulder a few days ago. I hope she feels good enough to be out for walks again before the weather gets too warm to wear these.